There are far too many apartments in Paphos to list on this page but if you are looking to find a self-catering apartment in Paphos, you will certainly not be short on choice. There are many different types of apartments to choose from in Paphos such as holiday apartments, private rental apartments, luxury apartments, penthouse apartments and they all have their own unique character, star ratings and facilities. Which one of the apartments you choose to rent in Paphos, basically boils down to your own personal preference, requirements and budget. Which Apartments To Choose Whether you are looking for a short term holiday apartment in Paphos or a long term rental apartment in Paphos, there are several things you should consider when looking. Obviously price and location are two of the most important things that most people need to consider when deciding on which apartment will best suit their needs. Generally, an apartment that is centrally located and close to the main tourist area of Kato Paphos, will command a higher price, especially during peak season. You should also decide on what you need from the apartment during your stay and also how many people will be staying in the apartment. This may sound obvious but the size of the apartment will reflect in the final price you pay and there is no point paying more money for a larger apartment, if you do not need the extra room. 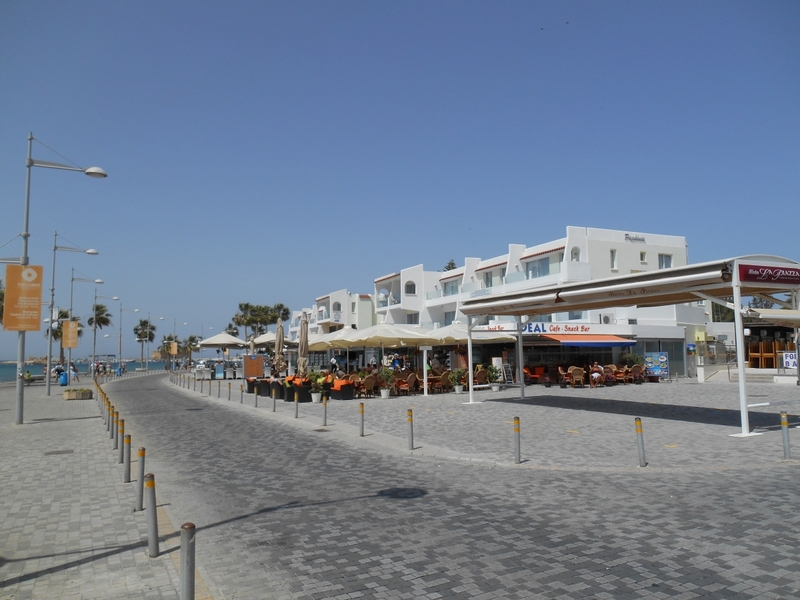 When you are searching for an apartment in Paphos, you will be offered a number of choices. These choices are normally Studio Apartments or bedroom apartments. The difference in these two apartments is the size. A studio apartment is basically an apartment that has a combine bedroom, living room and kitchen in one single room. A studio apartment is limited on space and does not have a separate kitchen or bedroom. Studio apartments are ideal for single occupancy or for couples who are not too bothered about space. Bedroom Apartments If there are several people staying in the apartment, you should probably choose an apartment with separate bedrooms. Many apartments in Paphos are available with the option of one, two, three or for bedroom that accommodate a larger number of people. These can work out to be much more cost effective, especially if there are more people sharing the cost! Holiday apartments in Paphos are probably the most common types of apartments that tourists rent. The reason why they are so popular is because they are designed for tourists and are generally built in a complex that has all the facilities you need for your holiday and to make your stay comfortable. Many of the larger tour operators offer holiday apartments and these are usually part of a holiday package. Self-catering apartments in Paphos are usually equiped with kitchen and cooking facilities as well as bathroom and bedroom(s). However, this said, some apartments will only have the very basics whilst others do offer more facilities and luxuries. If you are simply looking for a basic place to stay in Paphos that you can use as a base, there are some very cheap apartments available. Note: Although many of the tour operators use these holiday apartments, it is still possible to rent them independently, as discussed at the bottom of this page. Many of the hotels in Paphos have apartments that are located in the grounds of the hotel and guests can use all the hotel facilities when staying in the apartments. You can also stay in the apartments and book a package that includes breakfast, half board or full board. These apartments allow you to have accommodation with a little more space than a hotel room yet still enjoy all the amenities and catering of the hotel. Sofianna Apartments Apollonia Apartments Crystallo Apartments Paphos Garden apartments Kefalonitis Apartments Petsas Apartments Pagona Apartments Hilltop Apartments Pandream Apartments Basilica Apartments Aparthotel Damon Avanti Apartments Mayfair Apartments Avillion Apartments Sunnyhill Apartments Anemi Apartments Daphne Apartments Tasmaria Apartments Holidays Apartments In Paphos With Swimming Pools The majority of holiday apartments in Paphos will have a communal swimming pool that is shared with several other apartments in the complex. If you are wanting to rent a property in Paphos with a private pool, you would probably be better to look at renting a private villa in Paphos. If you choose to book your apartment through a travel company as a package deal, you will usually have flights and transfer included in your package. Some travel companies offer flights and apartments but no transfer and you should ensure you know what is included in your package before you book your holiday. Privately Owned Apartments In Paphos Throughout the past decade, Paphos has seen a large number of building developments throughout Paphos and as a result, more apartments. Many of these new apartments were bought by private investors who now rent out the apartments on both a short and long term basis. The good news is, that you can rent these apartments directly through the owner. More and more websites now offer you the opportunity to book your apartment directly through the apartment owner, which provides you with a more flexible way to book your holiday. Luxury Apartments In Paphos If you are wanting to push the boat out and stay in a luxury apartment, there are a large number of luxury apartments that are available for rent in Paphos. These apartments offer true luxury and much more facilities than your average apartment. You can find luxury apartments located throughout Paphos and in many of the popular locations between Kato Paphos and Coral Bay. As you can imagine. Renting a luxury apartment in Paphos will not be cheap and throughout the Summer months can be quite expensive. Apartments In Paphos Harbour There are sevral apartments that are located close to Paphos harbour but Paphinia Sea View apartments are actually located on the harbour sea front above the bars and restaurants. Finding The Best Deal On Apartments In Paphos Due to the Internet, it is now even easier to book your apartment independently directly through the owner and many people are choosing this method. There are now many great websites online that offer apartments for rent throughout the world. If you are hoping to book your travel arrangements independently and are wishing to rent and apartment, you can often find some fantastic apartments. Using the some of the websites that are available, you can now simply type in the location you desire and the number of bedrooms. Holiday Lettings – Owners direct – HomeAway – How Much Are Apartments In Paphos The cost of apartments in Paphos do fluctuate and the price is usually determined by many factors. One of the main factors that usually determine the price of an apartment is obviously demand but also the time of year you visit, size of apartment and the star rating all contribute to how much the apartment will cost at any specific time. Finding Apartments In Paphos To Rent The Internet has made it much easier for you to search for your apartment and book it online. Depending on which way you wish to book your apartment, will determine how you actually find the best deal to suit your requirements. If you are wanting to purchase a package deal through one of the major travel agents or tour operators, it is wise to shop around to see which one offers the best price. If you are wishing to book independently, you should consider using one of the comparison websites. Using a comparison website will provide you with all the best prices on apartments in Paphos and ensure you get the best deals for your desired dates.